Iowa's leader in decorative concrete. Working with concrete is an art. That may be an understatement when talking about decorative concrete. 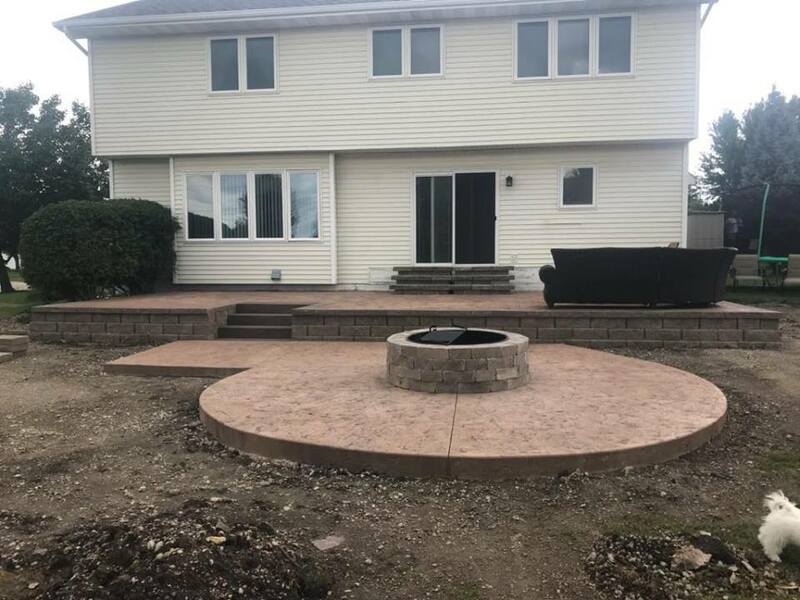 With over 15 years of experience in stamped concrete, stained concrete, and detailed flatwork we are experts in this field. From the bid to the final walkthrough you will feel confident with your decision to work with us. We are a family owned and operated business that takes pride in our work and we look forward to making your concrete come to life. Whether it is a new stamped concrete patio in your backyard or you want a driveway replacement we are here to serve you. All estimates are free and flexible. Just ask and we will find a time that works for you. Your word is stronger than a signature. Make a Statement with each and every project that lasts for years. Proudly serving Des Moines, West Des Moines, Adel, Altoona, Ankeny, Bondurant, Clive, Granger, Grimes, Indianola, Johnston, Norwalk, Pleasant Hill, Polk City, Urbandale and Waukee with professional stamped concrete and general flatwork needs like concrete pads, driveway replacement, building floors, stained floors and concrete coatings.